He asks where the answers are. He has a strong hunch. This is the first Bob Dylan haiku that I ever wrote, and like the original song, it has stood the test of time. 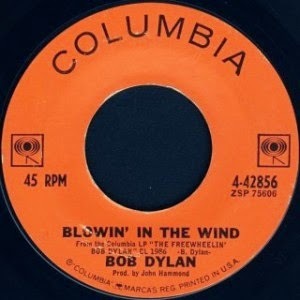 Dylan recorded this song for his second album, "The Freewheelin' Bob Dylan" in 1963. 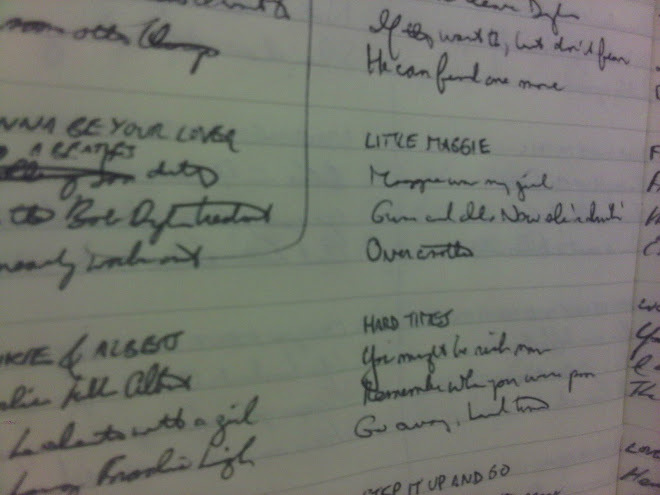 There are multiple studio and live recordings of the song on various Dylan live and archival albums. Take your pick. Here is a thoroughly different version, recorded down the street from my apartment last month at the Beacon Theater. I wasn't willing to shell out the crazy money that scalpers were asking so I didn't go. Hello Robert, possibly the greatest song of all time. Come inside Bob Dylan's Music Box http://thebobdylanproject.com/Song/id/78/Blowin-In-The-Wind and listen to all the great versions of this classic.